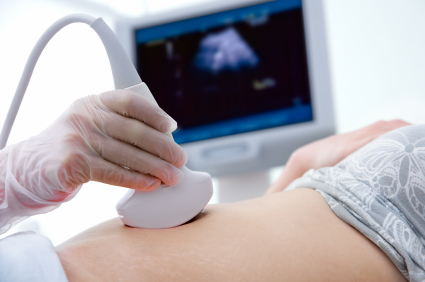 Ultrasound is a simple, safe and non-invasive method of evaluating the female pelvic organs. If the main area of interest is the pelvis so you will be asked to attend with a full bladder. In this case you will be required to drink water prior to the examination. The full bladder displaces bowel loops out of the pelvis and provides a window through which the pelvic structures may be examined. The ultrasound probe will then be moved smoothly and painlessly over the skin surface. Depending on the clinical circumstances, an examination may last from 5 to 20 min. The doctor or ultrasound technician may need to proceed with an internal ultrasound examination. This is dependent on the clinical indication. The radiologist will be consulted before the ultrasound technician proceeds with this type of examination.